It’s gift giving season, and if you’ve got a particularly persnickety tippler on your list, never fear. From whiskey to vodka, apple brandy to a high proof barreled gin that nods to both old world and new, we’ve picked our favorite spirits to inspire you now, and into the New Year. Created by Master Distiller Dave Scheurich (Whisky Advocate Lifetime Achievement Award winner), this corn, rye, and malt based whiskey is a great entry level product for spirits fans seeking to dip their toe into something higher proof. 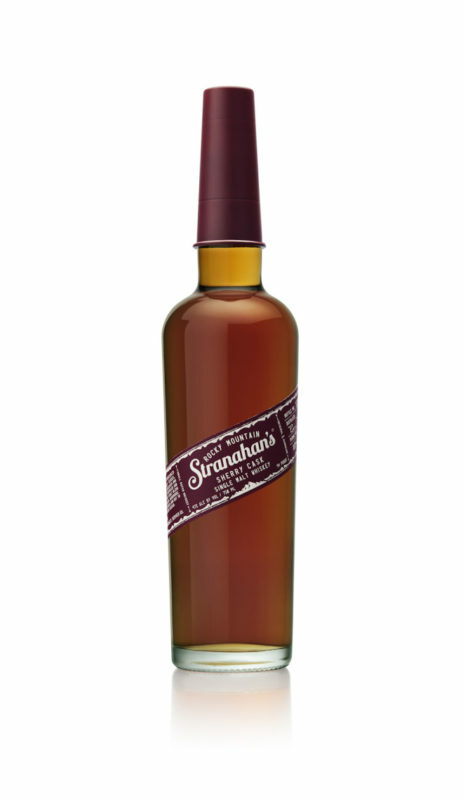 Blended and bottle at 95 proof (47.5% ABV), this whiskey has a light oak nose, with notes of warm honey and cherry pie. 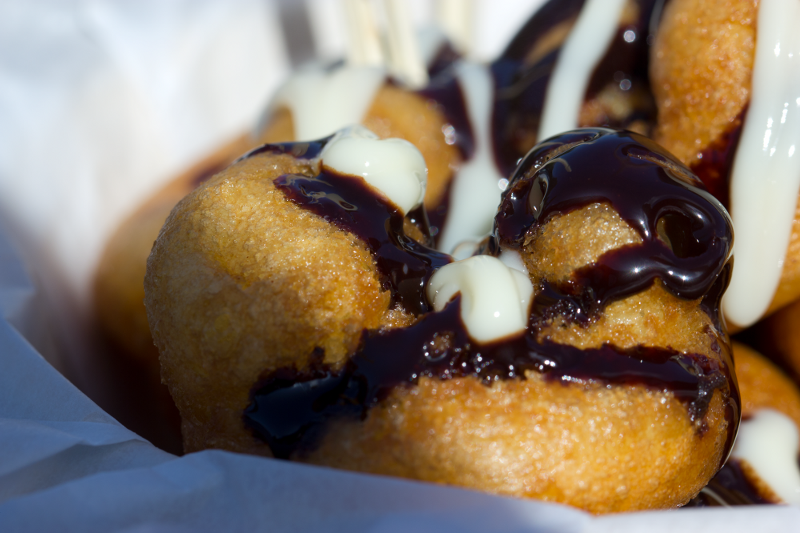 Burnt toast and baking spices are on the palate, it sips well both neat and on the rocks, with a delicate, creamy finish. 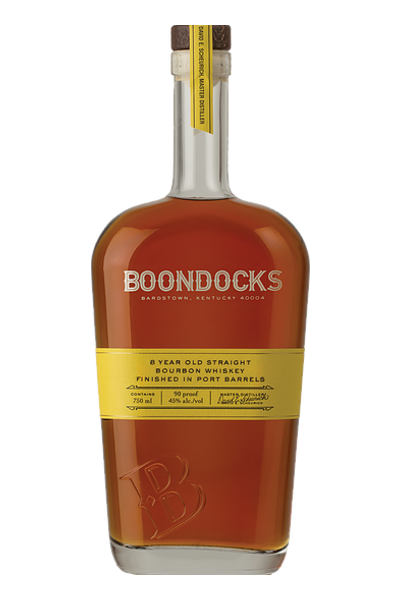 Finished in used port barrels, Boondocks has sourced and aged a complex, flavorful bourbon that’s fruity, yet balanced. Notes of candied raisins, vanilla and smoke are present, with a smooth, elegant finish from the port barrel aging. Warm and well-rounded, if you have a Woodford Reserve lover on your list, upgrade them to Boondocks, and they won’t be disappointed. 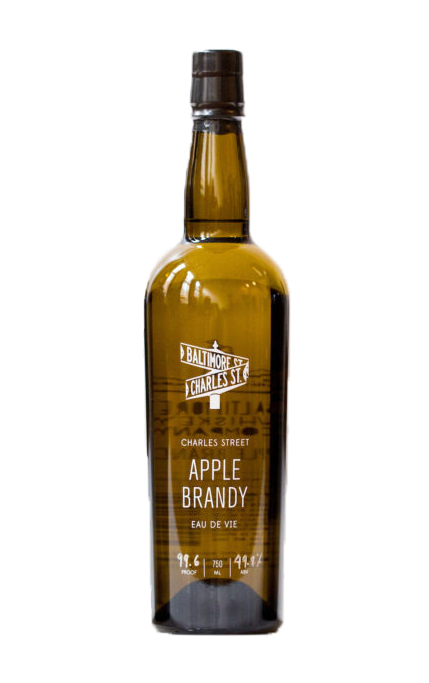 While the Baltimore Whiskey Company patiently awaits the release of its rye whiskey (currently slotted for February 2018), they’ve perfected the craft of making other high quality spirits, like their apple eau de vie, a clear, unaged apple brandy infused with smoked apple peels and cores. A mescal-like, ‘unicorn’ of a spirit, the nose is unmistakably smoky and orchard scented, while the high proof keeps it from disappearing into a drink. 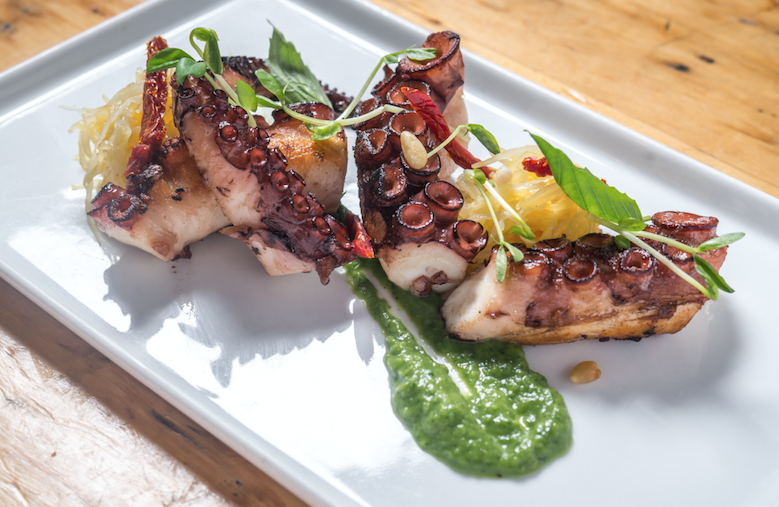 A unique addition to both simple and complex cocktails, food and cocktail enthusiasts will love experimenting with Charles Street, and supporting a local, craft brand. Although drinking Cuban rum may now be more of a challenge than it was last year, do grab a bottle of this sipping rum, if the opportunity arises. 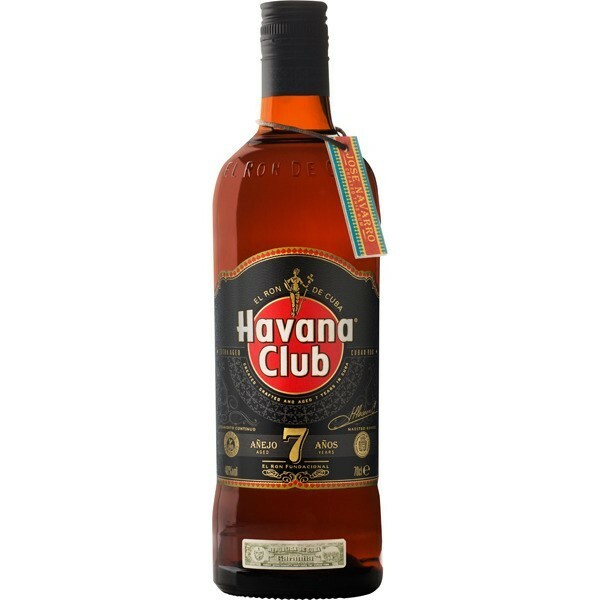 Havana Club Añejo 7 Años is a lovely seven year old rum, created for sipping and drinking neat. We had the chance to try it at a recent spirits festival, and noted dried fruit, spiced honey, and a bit of tobacco and earth on the finish. Other regions still make good rum, but Havana Club has truly knocked this one out of the park. 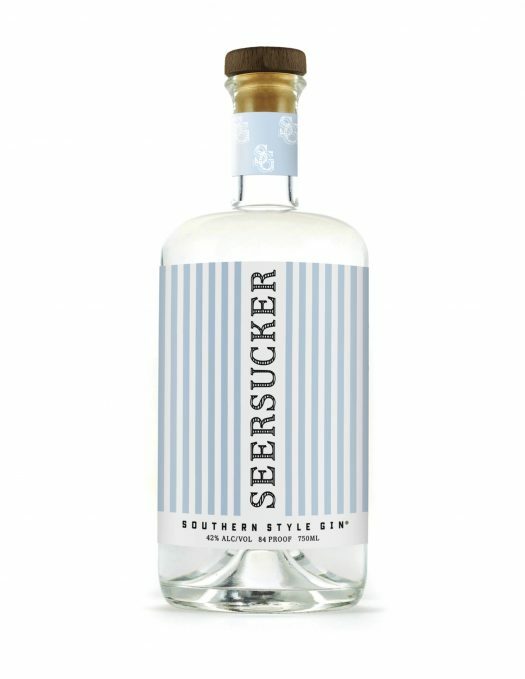 A relatively newer entrant to the American gin marketplace, Seersucker Gin is grain based and copper pot distilled, with a focus on citrus forward botanicals, vs. the distinctly juniper note found in London dry gins. 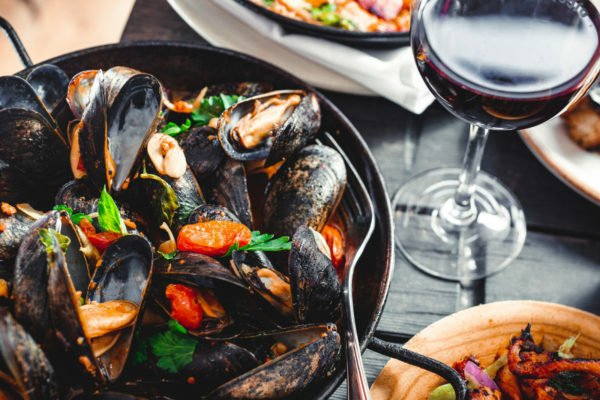 Quite light in flavor and nose, you’ll note orange peel and mint, as well as cardamom, honey, and more sweet mint with a peppery, juniper finish. An introductory spirit for those who may not be fans of the traditional dry style gin, try it as a vodka replacement in lighter, sweeter cocktails with flavors like passion fruit and pear with lime, or watermelon sparkling water. If you like your gin like you like your whiskey-flavorful, luxurious, and high proof, look no further than Shot Tower Gin Barreled. 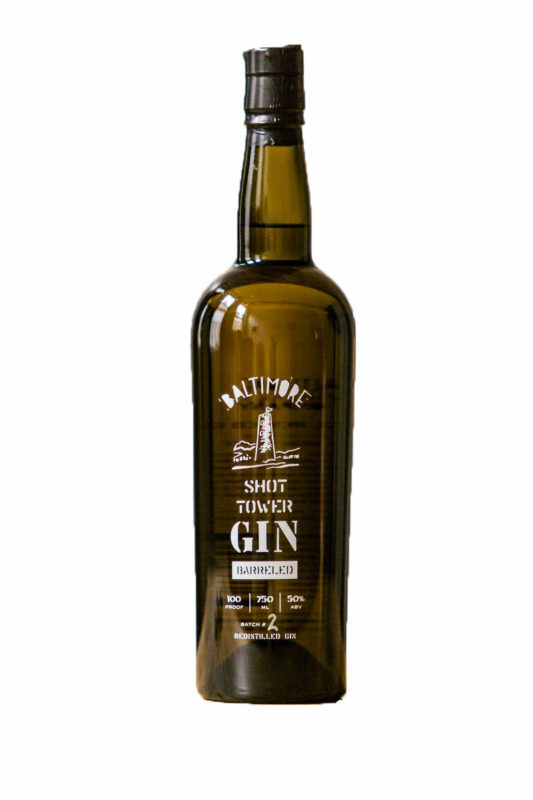 The first gin ‘officially’ produced in Baltimore since Prohibition, Shot Tower’s whiskey barrel aged gluten free gin spends nine months in American oak rye whiskey barrels, creating a unique, caramel vanilla layer that melts into botanicals like green tea, Curaçao orange, and an Angostura-like bitterness. This distinctive spirit is guaranteed to turn both gin and whiskey enthusiasts into the best of friends. With the brand taking its roots from both founding fathers, and Maryland as a rebel state during Prohibition, Shot Tower is a nod to America’s culture of independence, and an ideal gift for cocktail enthusiasts wanting a truly handcrafted spirit. Combining two of our favorite loves-sherry and whiskey, Denver-based Master Distiller Rob Dietrich has created a whiskey like no other. Using their 100% malted barley 4 year old American single malt whiskey, and 40 year old Oloroso sherry barrels from Spain, they created an incredible spirit that’s perfect for every bourbon, scotch, or American whiskey fan on your list. 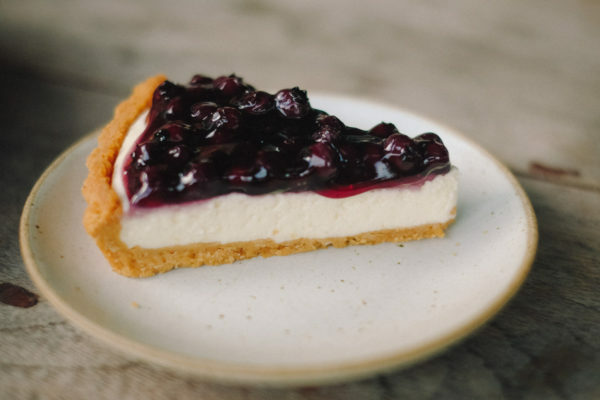 Notes of leather and spice are present, with vibrant cherries and cinnamon on the mid-note, as well as chocolate and toasted walnut. This needs no more than a single ice cube or a splash of water to serve. Just use caution, however, because as smooth as this whiskey is, it’s still 94 proof. Made from corn, rye, and malted barley, Tincup’s traditional whiskey is aged 10 years in char #3 American oak barrels, then proofed with Rocky Mountain spring water. Although not a bourbon, Tincup 10 drinks like one, with notes of caramel, cinnamon, and honey on the palate, as well as vanilla, sweet cherries, and raisins. Smooth and easy to drink, it drinks well neat, over ice, and in traditional whiskey cocktails. As a package, Tincup once again uses their hexagonal bottle shape, as well as the tin cup ‘cap’, a nod to Colorado miners of days past, making this an attractive whiskey to display on the bar, or as a gift. Just in time for what we like to call ‘celebration season’, Van Gogh Vodka has released a limited edition 4 pack boxed set that makes a nice tag along for a set of martini glasses, a shaker, or other barware. The set includes a 50ml bottle of Van Gogh Vodka (original), Double Espresso, Dutch Caramel, and Dutch Chocolate. 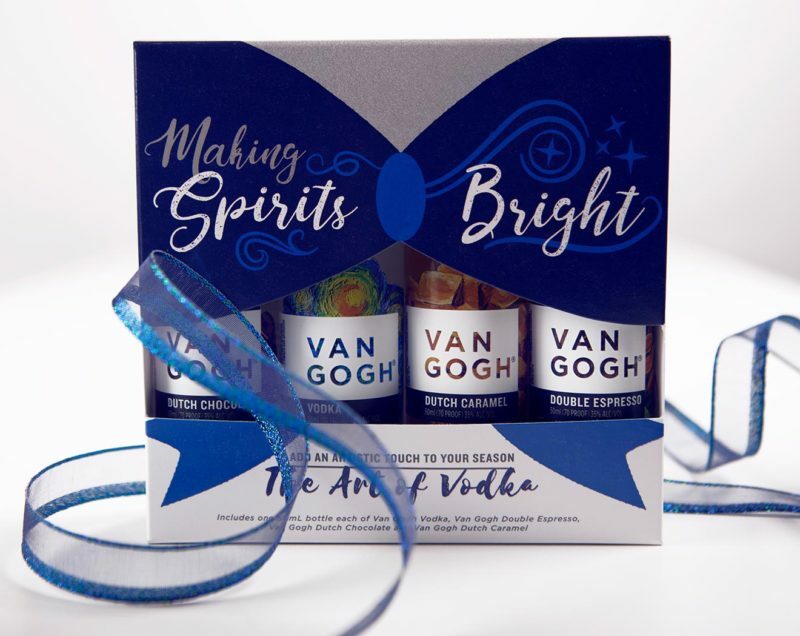 It’s an affordably priced way to try Van Gogh’s flavored vodka line, if sweet drinks are something you or your gift recipients into drinking.